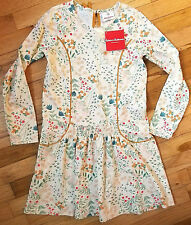 NWT HANNA ANDERSSON ECRU GARDEN SMOCKED FLORA FLORAL DRESS 150 12 NEW! NWT HANNA ANDERSSON PLAYDRESS DAYDRESS DRESS PINK WHITE STRIPE 150 12 NEW! HANNA ANDERSSON. STARFISH PINK WITH WHITE STRIPES. MATCHES MANY SOLID AND STRIPED BIKE SHORTS I HAVE AVAILABLE. SIZE 150, US 12. 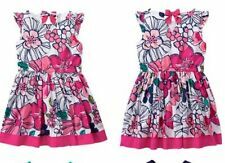 Super Soft Floral Print Dress with Style! Vibrant floral - easy to wear - she will love. 100% cotton. COMFORTABLE PULLOVER STYLE WITH TWIRLY GOODNESS. TWIRLY SUPER SWEET DRESS. TWIRL POWER RACERBACK TANK DRESS. HANNA ANDERSSON. PINK AND WHITE STRIPE. SIZE 150, US 12. New Gymboree Bee Chic Line Chambray Belted Dress With Hair Accs, Size 12. Condition is New with tags. Shipped with USPS First Class Package. GIRLS PRETTY PARTY DRESS. = JUSTICE = SIZE 7 =. Netting is soft and not scratchy. 100% Cotton sheeting lining. Kate Spade New York Girls White Lace Dropped Waist Dress Size 12 (152/12 yrs). Dropped waist. Self : 100% Polyester. A beautiful dress for any special occasion! Waist: 31". NEW Hanna Andresson Dress. 100% Cotton. 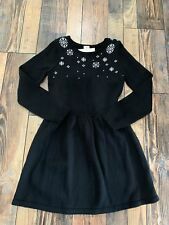 NWT Joyfolie Starlet Dress. This is for the dress only.